This is a fantastic time of the year to bringing you Season 5 of the Quest for Freedom Podcast on Mindset Freedom. Well it’s typically the time when you’re winding down for the holiday season and also planning ahead to think about 2018 and why it’s going to be different. But it’s not going to be different until you’re prepared to start working on the very thing that can make the most significant difference to your life. I’m talking about your mindset. That’s because your mindset can set you free. Mindset is the foundation that freedom in its widest possible sense comes from. You are the product of your mind. Every thought and belief you have stored inside your mind shapes your experience of life. Your values and beliefs shape your perception of reality and as a result your ability to achieve anything in life. I’ve found that over the years, when I am not focusing on a growth mindset, when I’m not actively learning and applying new techniques to grow my mindset, to become more focused, to get rid of those negative thoughts, those comparison game moments, things don’t go quite as well. And it feels less free in my mind. For me personally, this year has been a roller coaster in terms of reshaping and reframing my identity from Suitcase Entrepreneur to Natalie Sisson. I’ve been through a business sabbatical, a complete 180-degree shift and a complete change in what I am doing and how that fits into my meaning in life and my purpose. For you, you may too also have had quite a full on year, or perhaps you’ve been really focusing in on what it is within your mind that you can strengthen. Or what it is that you can quiet so that it makes way for more of those thoughts that allow you to be your best possible self and give you freedom in your mind. We’ve all been there. We’ve had the mind tells us things we don’t really need to hear. Our mindset can be our best comrade or it can be our worst enemy and so much of that is under our control. I think about that every single time I’m faced with a big decision or a reaction to something. Most of the time I’d like to think I’m pretty calm, but I am also a passionate Aries and every so often something will just piss me off and my emotions will well up and I’ll react in an instant. So I probably need to go back and revisit some of the mindfulness freedom from Season 1, Mind Your Mindfulness and recommend you do too. Making decisions in the moment of how we think, of how we act, of how we grow, of how we fundamentally believe is all part of having the right mindset. The mindset definition varies across different sources according to Dictionary it is “1. an attitude, disposition, or mood.” or “2. an intention or inclination.” and “1. a mental attitude or inclination” or “2. a fixed state of mind”. Yet none of these actually yield the true meaning and real definition of what it is. So what is the true meaning? A more accurate definition of mindset is the sum of the way you think. Mindset is how your values and beliefs shape your thoughts and lead you to be the way you are. The way you think and feel, the way your thoughts lead you to act and behave causes the results you experience in the world. If you have thoughts which are negative or limited then you will experience challenges and likely find success and freedom almost impossible to achieve. If you are into people like Tony Robbins, into personal development and self-help books, you’ll come across a lot of these tactics and tools. You’ll look into your neuro-linguistic programming, regression timeline and EFT (emotional freedom technique). I’ve only touched on a few of these myself throughout my life. There’s other tactics like meditation, mindfulness, transcendental meditation, looking at your chakras and all these exciting things like brain waves and binaural beats. It’s incredible how much information is out there. If we come back to the fundamental message here, which is “the way you think and feel, the way your thoughts lead you to act and behave causes the results you experience in the world“, you can start to see pretty quickly that anytime you are having a bad day, it’s most likely because of the way that you are thinking and then acting. So how can you change state, how can you get yourself out of that to get back on track and into a frame of mind that serves you best? Sometimes it’s good to be angry, sometimes it’s good to be emotional but if you can channel that into something that really helps you, serve you and helps others then we are talking about reframing and using your mindset for the power of good or even greatness. And we want to move out of a fixed mindset, negative or a limited mindset into a growth mindset. I have talked about this research from Carol Dweck in Learning with a Growth Mindset. But what I am most excited about is that I am bringing on a special guest, Osmaan Sharif who is my freedom mindset go-to guy. 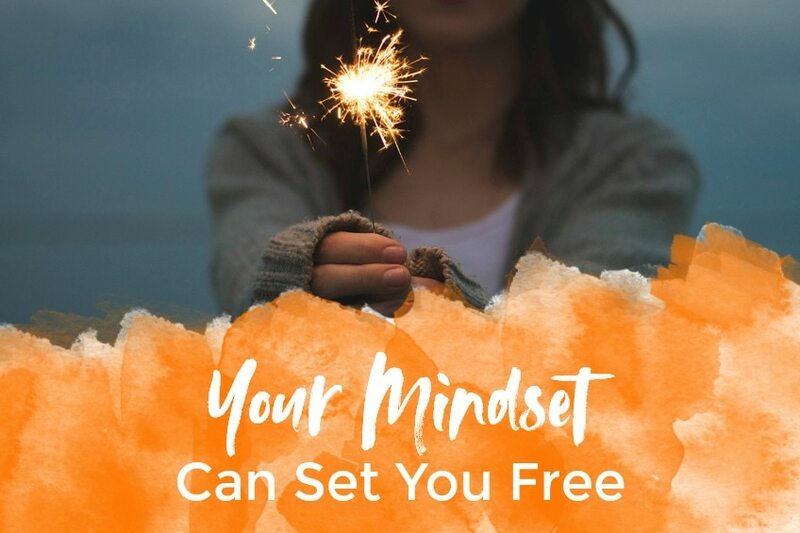 I’ve had him attend three of my last freedom mastermind retreats in Bali and Portugal and he honestly has the most amazing set of tools to be able to help people shift their mindsets in minutes. He is the founder of Rapid Transformation and he can transform people quite rapidly if they are open to it and if they are willing. when you are really not in control and that the unconscious mind is and how we can tap into that. I would love for you to tune in every single time we put out a podcast and that’s going to be every Monday and Thursday from now on. And if you want to Master Your Mindset in 2018 get details on our new Freedom Lab starting January 2018. Want reliable hosting for your blog and website at 50% off? HostGator allows you to run your business from anywhere, at anytime, with their 99.9% uptime guarantee. HostGator won’t take up any room in your suitcase, but will still be there for every step of your adventure with their 24/7/365 live support. Thanks to their 24/7 – 365 days a year live support – which you can get via chat, phone and email – any and all questions you have can be answered in no time at all.